For ages up to 12 months. No registration required. First come, first served until capacity is reached. 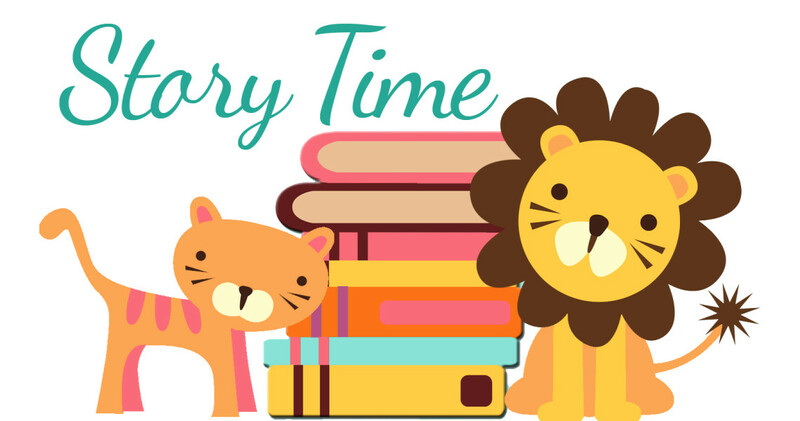 For safety, Library children’s programs are canceled when Arlington Public Schools are closed for inclement weather. 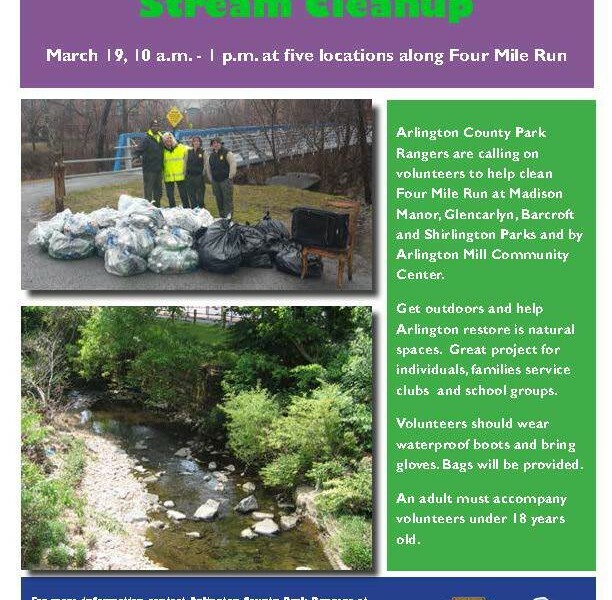 Join Arlington County Park Rangers on Mar. 19, 10 a.m. - 1 p.m. at five locations along Four Mile Run help clean Four Mile Run at Madison Manor, Glencarlyn, Barcroft and Shirlington Parks and by Arlington Mill Community Center. Get outdoors and help Arlington restore is natural spaces. Great project for individuals, families service clubs and school groups. Volunteers should wear waterproof boots and bring gloves. Bags will be provided. 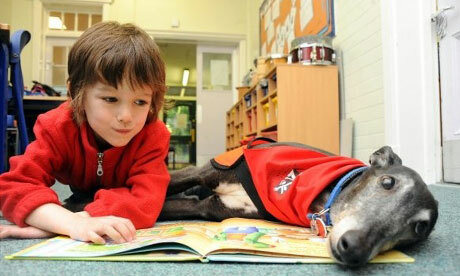 An adult must accompany children under six years of age. For more information contact Arlington County Park Rangers at 703-525-0168 orParkRangers@arlingtonva.us or visit parks.arlingtonva.us, search stream cleanup. Join WalkArlington for the debut of our updated SHIRLINGTON WALKABOUT ROUTE on Sunday, April 17th from 3:00-5:00 p.m.! Free of charge! Open to all ages! RAIN OR SHINE! Check out these places in Shirlington recommended by the Washington Post on June 18, 2014! Help Plan Our Playground at Jennie Dean Park! Drop by the Shirlington Public Library anytime on Sat., Feb. 18 between 10 a.m. to noon to share ideas for a new playground at Jennie Dean Park. Families are invited to this fun, interactive open house. This project is just one of the many cool things coming to South Arlington around the Four Mile Run Valley Initiative. Questions? 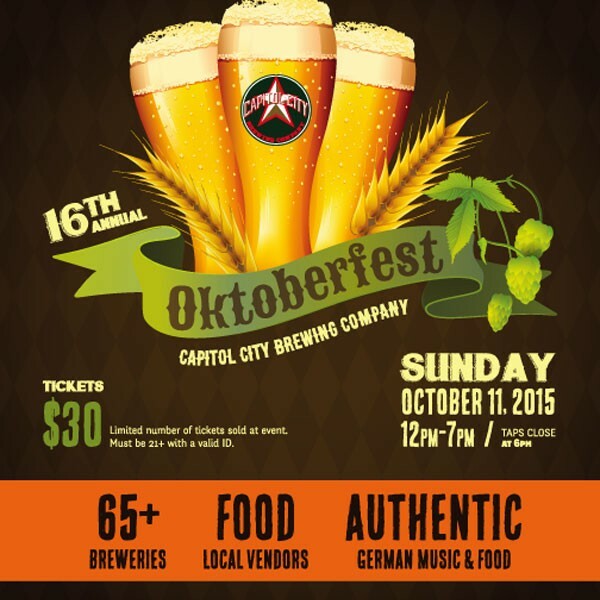 Contact kjthomas@arlingtonva.us or 703-228-1843. Co-sponsored by the Shirlington Civic Association, your favorite library, and Arlington Parks & Recreation. Join us Monday night, November 13th at the Shirlington Public Library at 7 pm. Safer Streets & Crossings – An update on plans for improvements and a chance to share your ideas. Please take a few minutes to fill out the Pedestrian Safety Survey. Community Input Makes a Difference! – Shirlington Civic Association has influenced several policies in our area. Find out how. News & Announcements for coming months. What are your priorities for our area? Hope you’re enjoying Autumn! Remember we now meet on the second Monday of the month. There is no meeting in December or August.